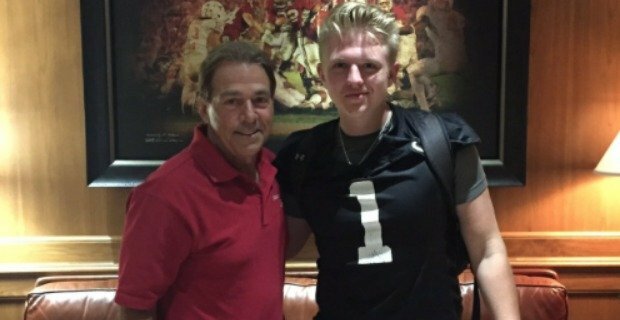 Shirts With Random Triangles: Alabama Lands Thomas Fletcher, No. 1-Ranked Long Snapper Prospect For 2017. 247Sports grades Fletcher as a two-star long snapper. In addition to being ranked at no. 1 among LS prospects for 2017, the recruiting site grades Fletcher at no. 283 among 2017 prospects from the state of Florida, at no. 1723 in its national rankings for 2017. Fletcher attends IMG Academy in Bradenton, Fl. He stands 6'1, and weighs 215 lbs.